Unm School of Medicine, 9780826355256, 336pp. 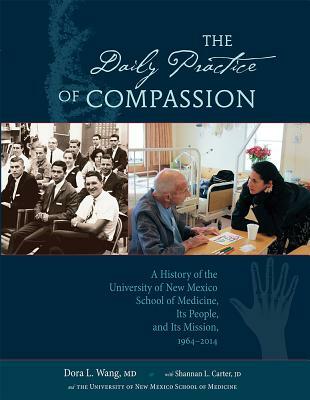 Published in honor of the fiftieth anniversary of the founding of the University of New Mexico School of Medicine, this book provides more than an institutional history. Rich with anecdotes and personality, Dora Wang's account is a must-read for anyone curious about health care in New Mexico. Celebrated for its innovations in medical curricula, UNM's medical school began as an audacious experiment by pioneering educators who were determined to create a great medical school in a state beset by endemic poverty and daunting geographic barriers. Wang traces the enactment of the school's mission to provide medical education for New Mexicans and to help alleviate the severe shortage of medical care throughout the state. The Daily Practice of Compassion offers a primer for policy makers in medical education and health-care delivery throughout the country.